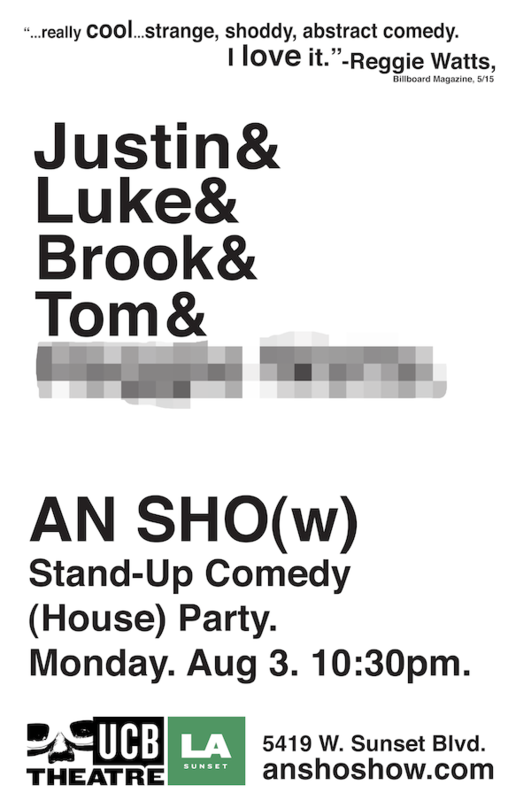 The AN SHO(w) boys are taking the stand-up party from the backyard to UCB Sunset this coming Monday, August 3rd. You can expect all the insanity of their usual comedy parties, but with a lineup so mind-jarring it’s COMPLETELY UNDER WRAPS! 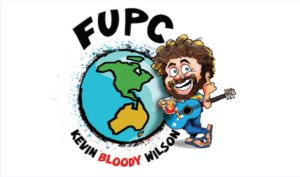 The show will be hosted by Justin Cousson, Luke Wienecke, Tom Slovinski and Brook Banks AND the comedy will be super fresh, as always. AN SHO(w) has the Reggie Watts seal of approval so GO! Mentions: Show 10:30pm. Buy AN SHO(w) tickets HERE. UCB Sunset is located at 5419 W Sunset Blvd, LA.